Fall is one of my favorite seasons. The one thing I love about Fall more than anything is PUMPKINS. I love pumpkin spice lattes, decorating pumpkins, pumpkin pie, but I never really get the kids involved. 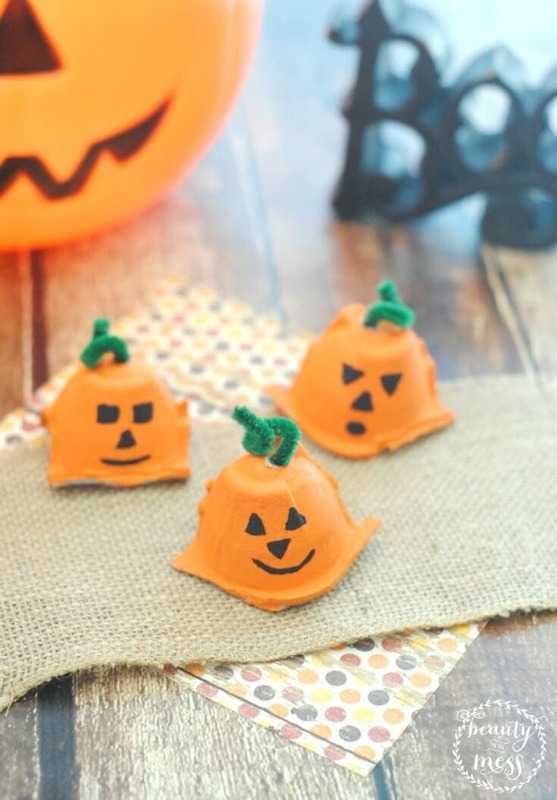 Check out these adorable egg carton pumpkins for Fall! If you are like us, you go through so many eggs each week. Keep those empty egg cartons. Don’t throw them away! It’s okay if they did make it to the recycling bin though. You can purchase empty cardboard egg cartons on Amazon too. 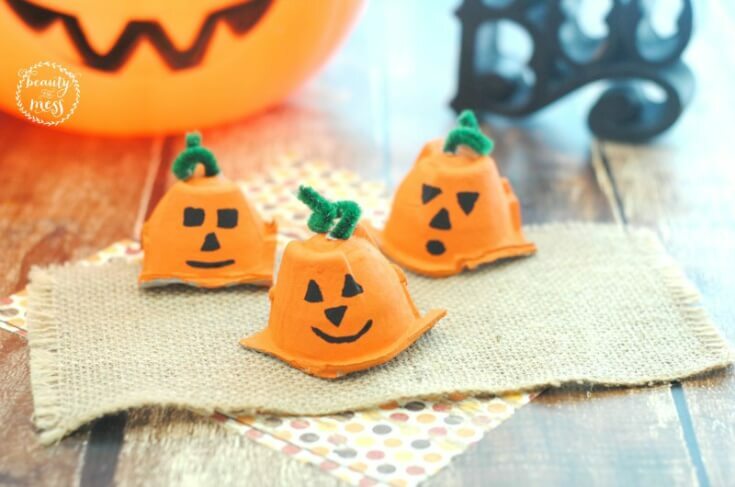 I’ve included affiliate links to help make it easier for you to gather materials for these adorable pumpkins! 1. Lay the newspaper down on the area you will be be painting. 2. Gently cut apart the egg cartons using the scissors. 3. 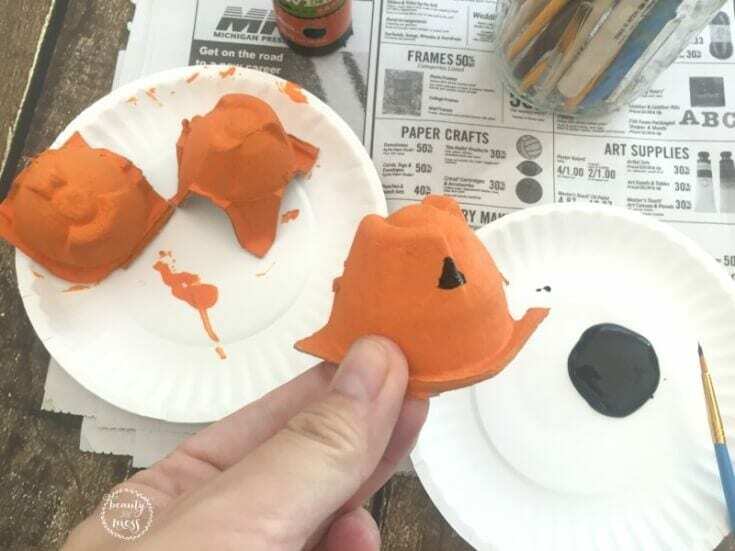 Using the paint brush, paint each egg carton orange. Set aside to dry. 4. Rinse the paint and brush and use some paper towels to dry. 5. 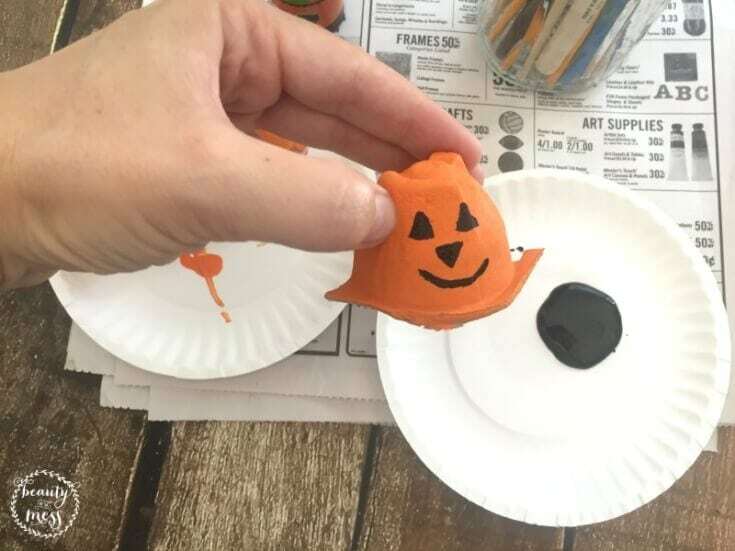 Once the egg cartons are dry, use the paint brush to give each pumpkin a face. I outlined the eyes and then gently colored them in using the paint brush and then did the same with the mouth (see photos). Have fun with it and make different shapes if you would like. 6. Let the pumpkins dry again. 7. 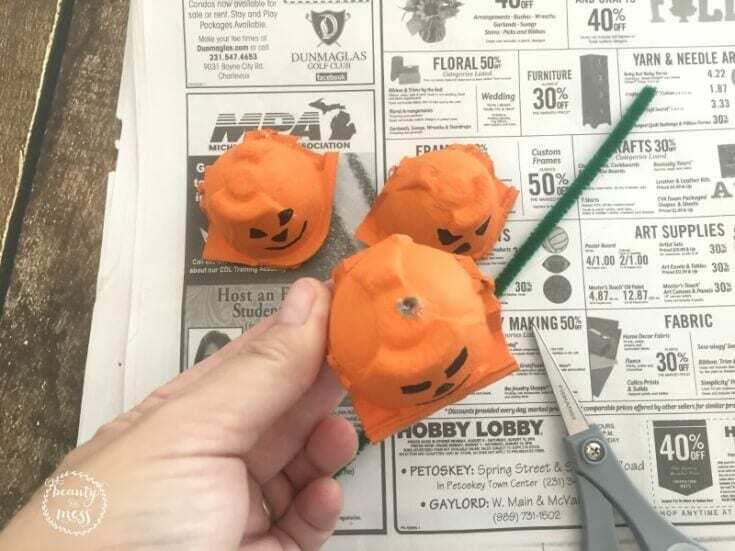 When the pumpkins are dry, use the craft scissors to gently poke a hole in the top of each pumpkin (see photo). 8. Cut the pipe cleaners into 2″-3″ pieces. 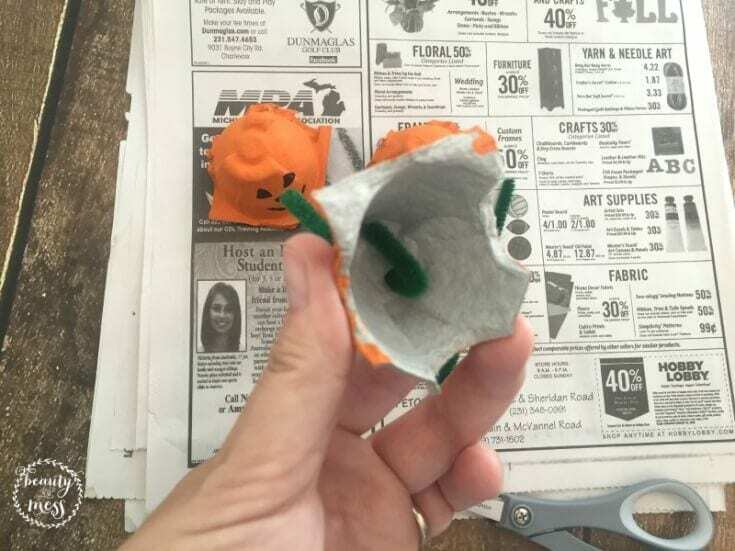 Poke through the hole in the top of the pumpkin and gently hook underneath on the inside (see photo). 9. 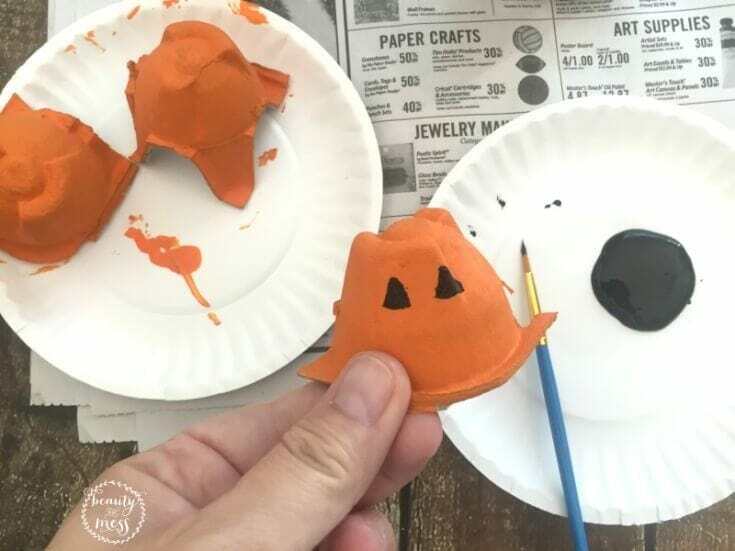 Gently curl the pipe cleaner on top to resemble a pumpkin stem. 10. Repeat with all the pumpkins. Line them up on your mantel, on the counter, TV stand, window sill. Add a couple to different Fall decor you may have around your house. You could even make some for neighbors and friends to pass out with a treat to welcome in Fall.The possibilities are limitless.